Different private purchase knives can also be found. These knives can not be classified as F-S knives, but they have some resemblance to them. 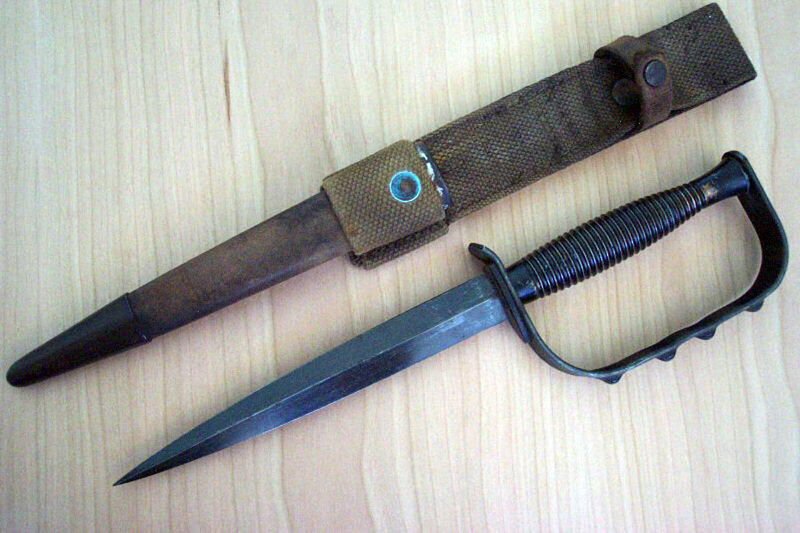 The standard knives for the Auxiliary Units, which were planned to be British Guerrilla, were equipped with Wilkinson made F-S knife as the primary knife. This is documented in Robert Wilkinson Lathams book. Sometimes there was a second sidearm of their own choice. The Auxiliary Units were specially trained highly secret Guerrilla units created with the aim of resisting the expected German invasion. Normally equipped with F-S, but those who were not, were told to equip themselves with a knife of their own choice. The original owner of this knife. S.E. Essex Auxiliary Units and commanded the following patrols: Canvey Island, Hockley, Rayleigh, Rochford and Thundersley. He is wearing this knife. 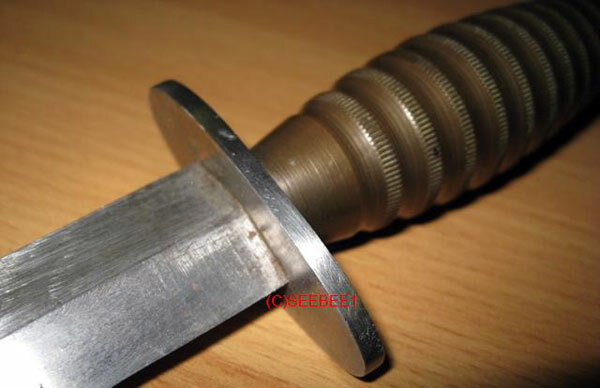 It is a heavy knife with balance far away from the specifications of the F-S knife. It weights 430 gram (15 1/4 ounces). 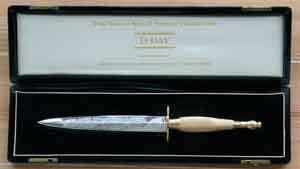 It is a private purchase knife most likely from Rodgers. The Auxiliary Unit was the idea of Major-General Colin Gubbins. He visited local Home Guard commanders finding out from them who their best men were. The most important requirements for the volunteers was an expert knowledge of their own locality, a degree of physical fitness and an ability to keep what they were doing a secret. 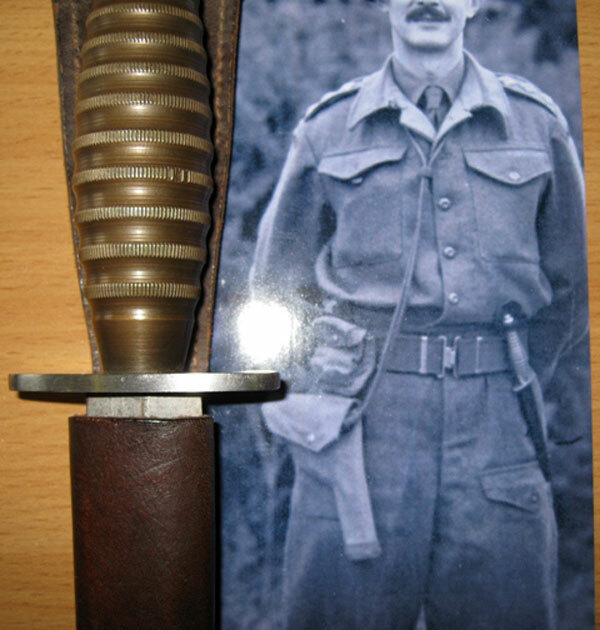 Men in the Auxiliary Unit were formed into three special Home Guard battalions as a cover - 201 for Scotland, 202 for Northern England, and 203 for Southern England, but they were kept separate from the Home Guard. The Auxiliary Unit had HQ and training centre at Coleshill House, a Palladian mansion, about 10 miles from Swindon, with large parklands and woods very suitable for guerrilla training. Swain & Adeney are a class outfitters for officers. By this clumsy construction all Fairbairn-Sykes delicate techniques about how to handle a fighting knife are gone. There are no reports about official use of the Knuckle-duster commando knife; however they appear from time to time. Most likely they are private purchase knives or even post-war constructions. Obviously they are inspired by the US 1917 Trench knife. 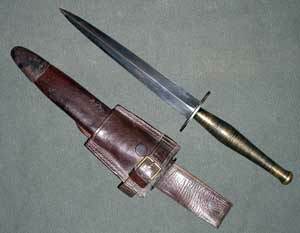 Robert Buerlein mentions this knife in his book. This knife has absolutely nothing to do with the original F-S knives. 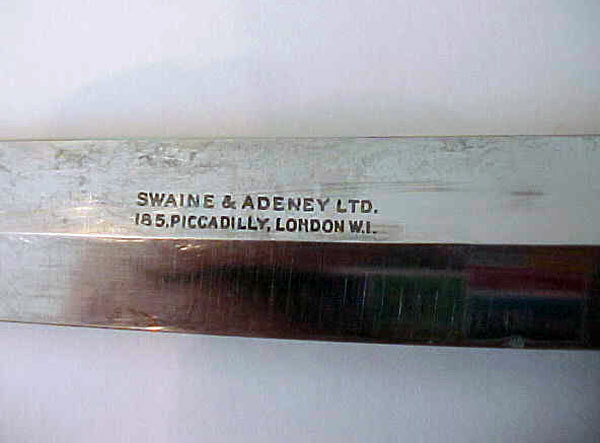 The limited handling possibilities of this knife are completely different from the technique taught by Fairbairn and Sykes.